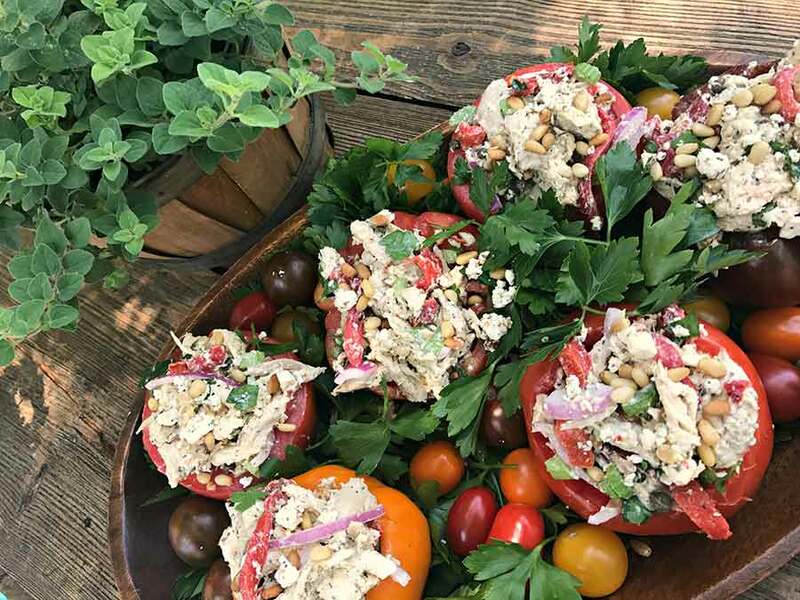 We’ve got your hot days beat with this no-cook salad nestled in juicy vine-ripened summer tomatoes. Pass the lemonade, please! Whisk all dressing ingredients together. Stir dressing into chicken to coat. Add all remaining ingredients (but for the tomatoes) and mix well. Chill several hours or overnight. Stuff tomatoes and garnish with reserved feta cheese crumbles and parsley. Serve immediately. 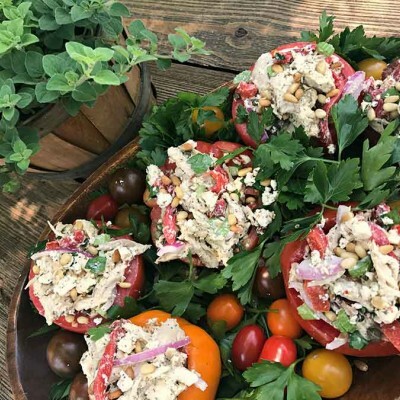 Note: Don’t cut out too much of the delicious tomato — just enough to mound the chicken salad!